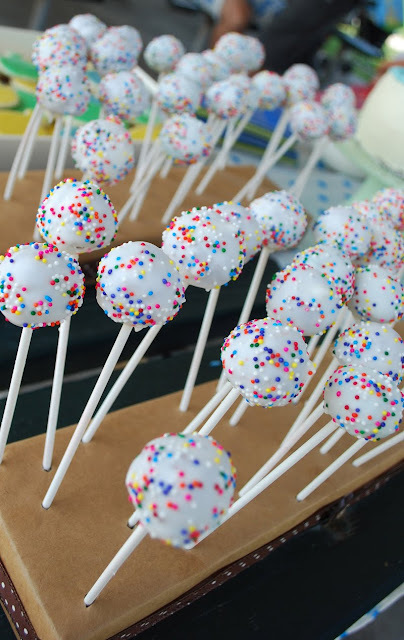 I made bakerella's cake pops for a baby shower last week (and also some for an adorable first birthday for a very sweet little boy). the couple is keeping the gender a surprise (I love that! 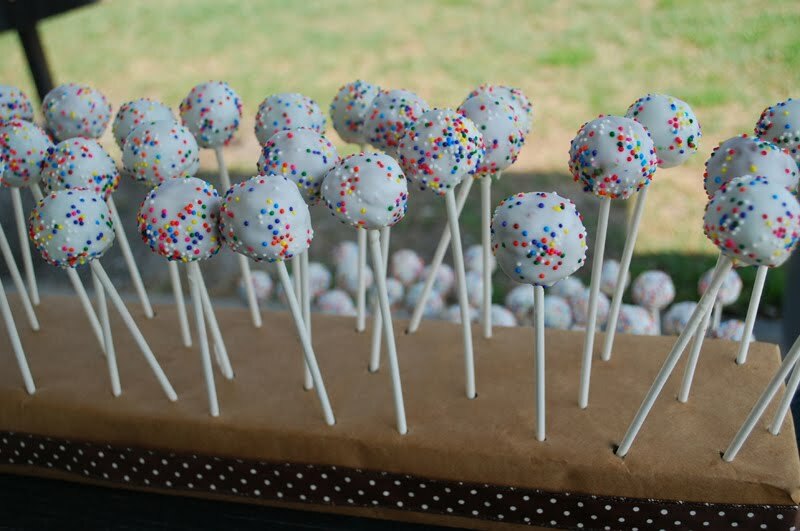 ), so I thought it would be fun to make the cake pop filling a surprise, too. 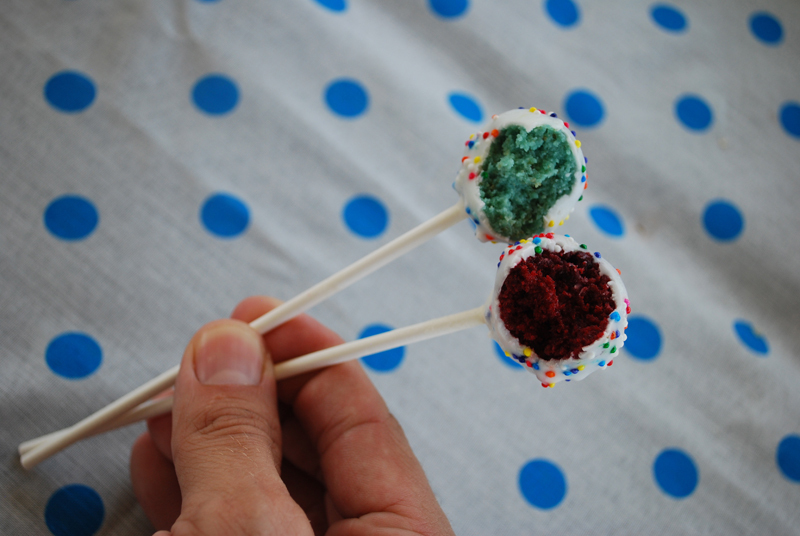 for the "boy" cake pops, I used a vanilla recipe and added blue food coloring. and for the "girl" cake pops, I made red velvet cake (although next time I'll probably use vanilla cake and dye it pink). people had fun predicting their future baby's gender. and the couple both got blue cake pops on their first try, so we're convinced it's a boy. robert says the cake pops don't lie. These cake pops are adorable, and I love the idea of gender surprise flavors! What a great idea! Those cake pops look so delicious! that is so cool... even the pops are a surprise!